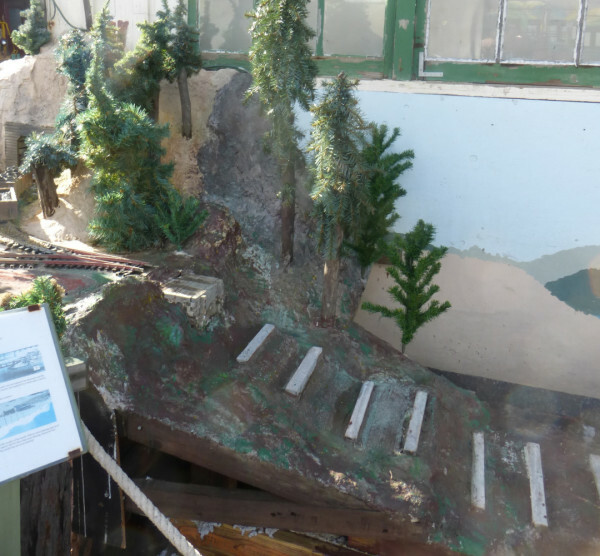 Rebuilding the Virgin Creek Trestle on the (G Scale) Mendocino Coast Model Railroad & Navigation Co. 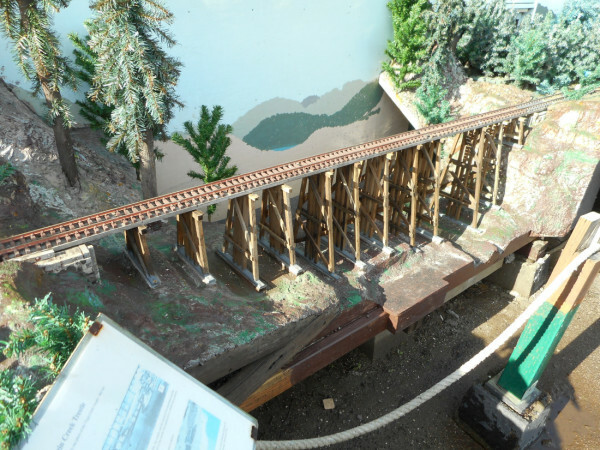 The Virgin Creek Trestle was the second of the five Trestles on the Ten Mile Branch which were needed to get Union Lumber Company’s (ULC) trains from the mill opposite downtown to the Ten Mile River basin. This picture was taken after a severe storm in 1949. 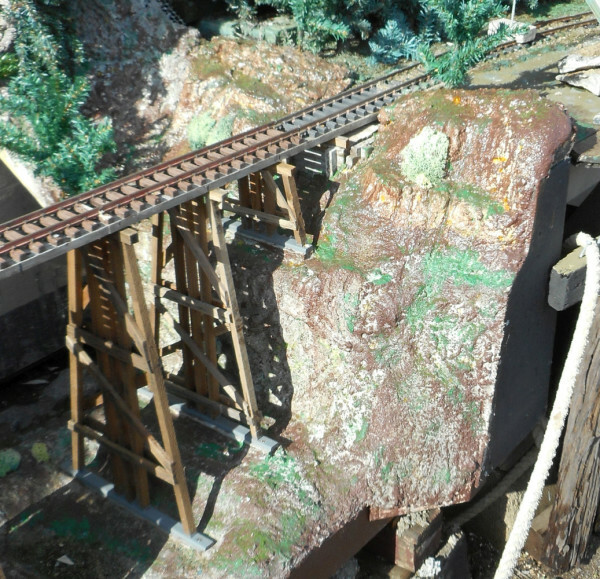 The trestle was not repaired but shortened and the remainder turned into a berm with a culvert. We believe this took place in in 1959. 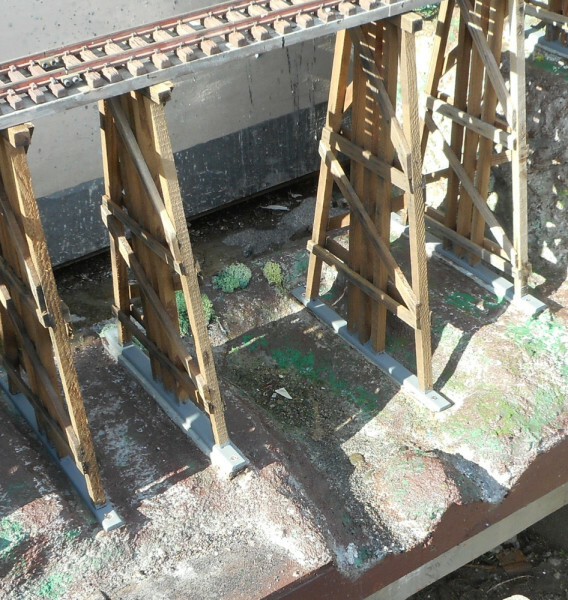 As you can see from the picture we built the model of the trestle with no cross bracing (just as in the picture). We have been told that the trestle MUST have had cross bracing. However NO-ONE produced a picture. So …… the model had no cross bracing! The old concrete and trestle has been removed ……..